Angel Number 90 is a message from the guardian spirits that you should dedicate yourself to spirituality and they are persuading you to serve humanity by taking up a spiritual vocation. While following your spiritual objectives of life, you should listen to your inner voice and act with dedication and enthusiasm. The angel numbers are asking you to be a beacon to others in matters of spirituality. Angel Number 90 symbolism signifies the imminent endings and terminations of some events or sequence of events in your life. They will lead to constructive and favorable new openings and transformations which will bring long-lasting advantages in life. These drastic changes in your life will turn out to be highly beneficial to you. The guardian angels are urging you to employ your determination and intelligence for the highest benefit of all. Angel number 90 symbolism mixes the vibrations and characteristics of Number 9 and Number 0. Number 9 has the traits of spiritual consciousness and spiritual principles, completions and terminations. The number also represents consideration and sympathy, leadership, charity and goodwill, and social work. Number 0 has the vibrations of commencement, perpetuity and systematic sequence of events. Number 0 also denotes capability and selection, spiritual advancement, commencement of a spiritual voyage and the challenges to be faced on the way. Number 0 asks you to go by your feelings and conscience whenever you face hardships in life. Number 0 is a forceful number with the strength of divinity and multiplies the vibrations of the number it is associated with which in this case happens to be 9. 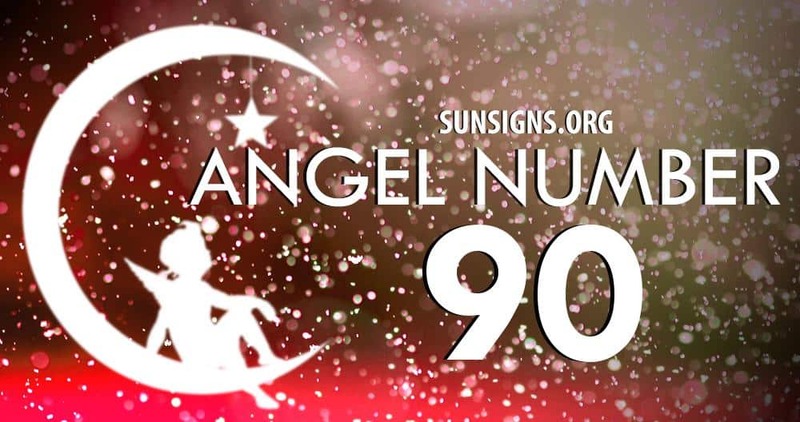 Recurrence of Angel Number 90 symbol in your life very frequently is a communication from the angels that you have the complete encouragement from the Supreme Power for your divine objectives of life and spiritual ambitions. The angel number 90 is helping you in this journey with your sixth sense and intuitive powers. They are available whenever you need them and you can count on their assistance and supervision.